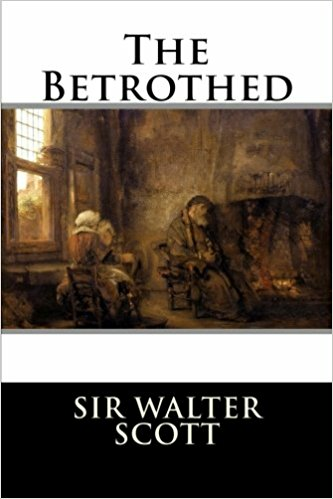 The Betrothed is an 1825 novel by Sir Walter Scott. It is the first of two Tales of the Crusaders, the second being The Talisman. Parts of the novel were incorporated into Francesco Maria Piave's libretto for Giuseppe Verdi's 1857 opera, Aroldo, itself a re-working of an earlier Verdi opera, Stiffelio. The action takes place in the Welsh Marches during the latter part of the reign of Henry II, after 1187. Eveline, the 16-year-old daughter of Sir Raymond Berenger, is rescued from a Welsh siege by the forces of Damian Lacy. She is betrothed to his uncle Sir Hugo, who leaves on a crusade. Rebels led by Ranald Lacy attempt to kidnap her, and Damian fights them off, but a confused sequence of events convinces the King that she and her beloved are in league against him.